BAGJUMP® Foam Pit Standalone Airbag - For all sports and seasons! The Standalone version of our revolutionary Foam Pit Airbag is the most versatile airbag system on the market. It is very easy to transport, it can set up in a matter of minutes and it can be used for all sorts of different sports at any time of the year, indoors & outdoors. 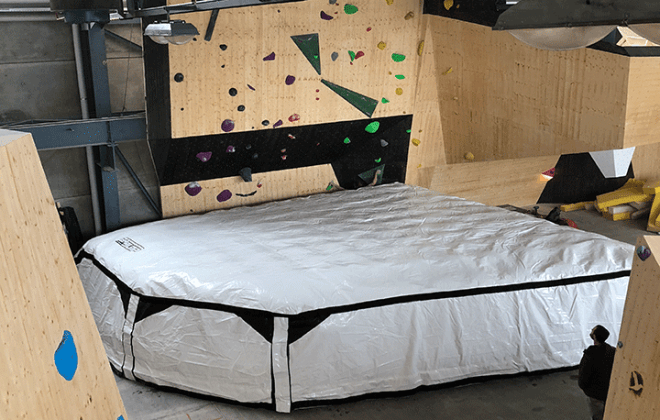 The Foam Pit Airbag Standalone is a very portable piece of equipment. Especially in its smaller sizes for gymnastics, trampolining and small to intermediate snow/bike setups, it can be easily transported in any regular car from location to location. The seamlessly packed lines of 3 air pillars/m2 in the upper 'catching zone' collapse upon impact and release air into the channels of the lower 'safety zone', which gradually increases in pressure to prevent ground contact. The surrounding landing areas are not affected by this, so other jumpers can land there simultaneously. You are basically jumping into a giant billboard. Thanks to the various branding options we offer for the whole airbag, you can always present your brand or sponsors at their best and in the center of attention. Your message will be carried out through social media channels when pictures/videos of the activity are taken. Whether you want to find out how you can benefit from BAGJUMP® Airbags or how they can transform your business, you'll find the answers to your questions right here. Download this whitepaper now! 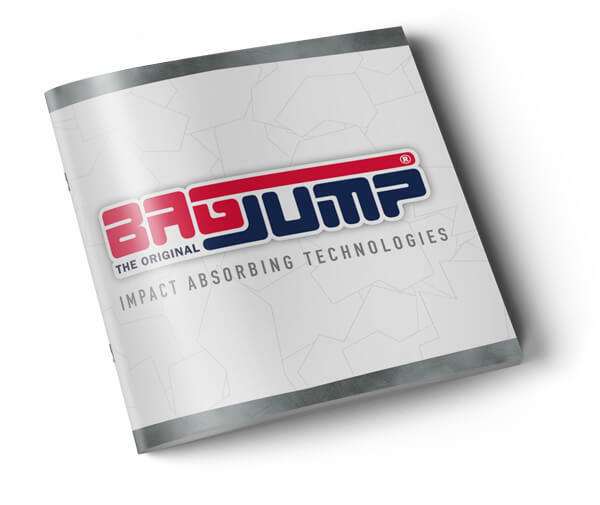 All BAGJUMP materials are exclusively produced by HEYtex technical textiles. We have developed these custom made materials together with HEYtex over years to produce high-performance durable materials which are suitable exactly for their intended purpose. No off-the-shelf materials are used in our products. 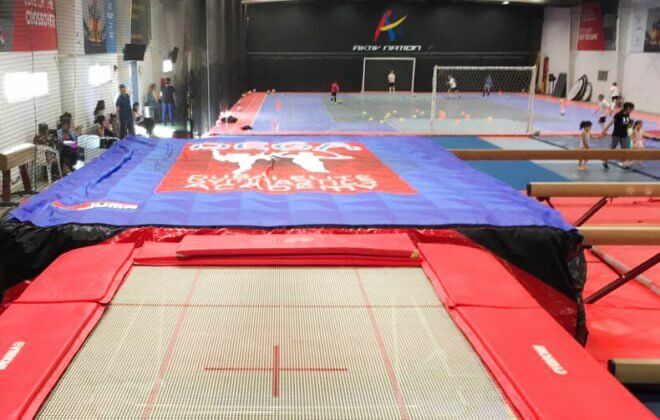 Whether it is the high jump frequency and 365-day-a-year use of a trampoline park airbag or the high impact energy of a freestyle motocross landing airbag – we ensure that the materials we use are custom tailored to withstand the short and longterm stress of their specific use. HEYtex Group from Germany is the world leader in the development and production of high-quality and functional technical textiles. On three continents, HEYtex covers a large product portfolio to offer their customers the best solutions for different kinds of uses, ranging from sports to industry applications. THE ONLY SYSTEM with fully replaceable air pillars - patent protected worldwide. NO patches, NO protection caps, NO short-term solutions. Our system provides long-term durability, which you can rely on in the busiest of times. Have you ever wondered if you could do that one trick? 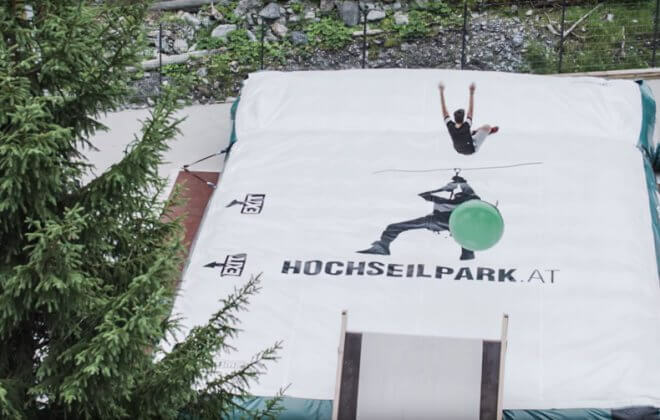 The Foam Pit Airbag Standalone is the perfect airbag solution for any ski resort, ski school or academy to offer a safe platform for beginners and intermediates to learn and perfect new jumps. It is made with extremely tough materials to ensure that your airbag stays free of cuts and your customers will always land softly and safely. 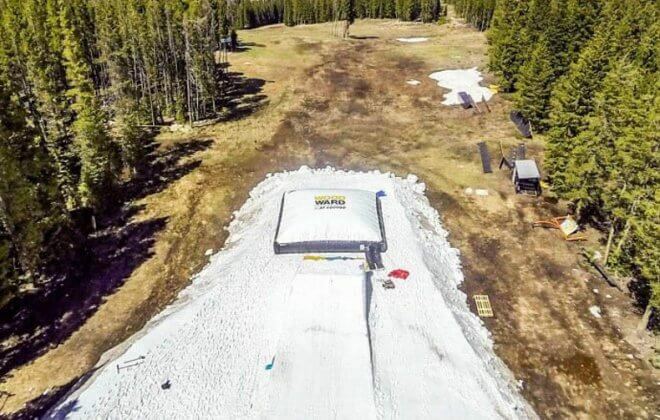 The airbag can be used all season – either on snow or on a dry-slope setup in the summer. 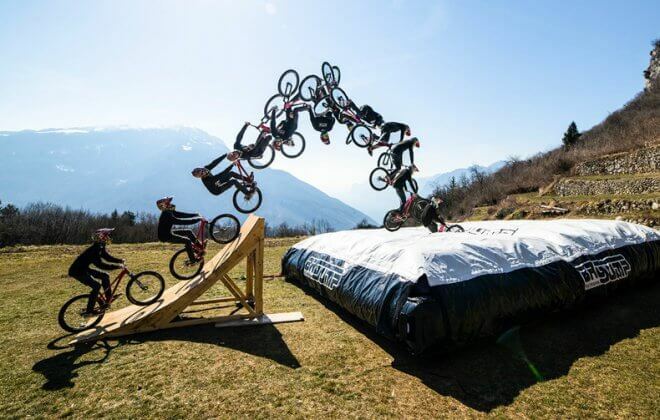 The Foam Pit Airbag Standalone is the ideal training tool for bikers and skaters of all skill levels. It can be moved around easily and setup in front of any ramp you like. When coming wheels down on a bike, you can actually stomp a trick and continue rolling if you choose to. The landing experience is much nicer than in a foam pit. The extremely tough materials will ensure that the airbag stays free of cuts and that you always land softly and safely. 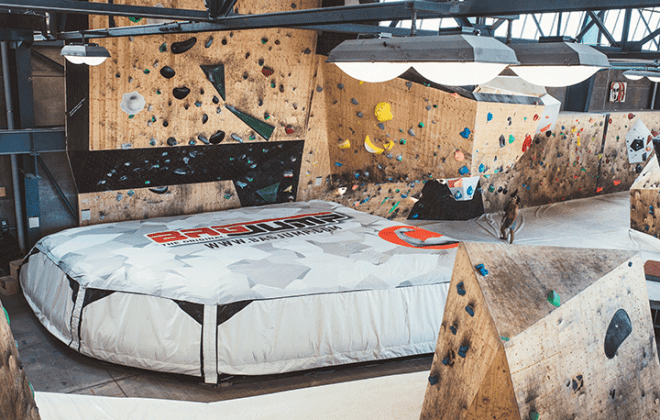 The Foam Pit Airbag Standalone is the ideal training tool for bikers and skaters of all skill levels. It can be moved around easily and set up in front of any ramp you like. When coming wheels down on a bike, you can actually stomp a trick and continue rolling if you choose to. The landing experience is much nicer than in a foam pit. The extremely tough materials will ensure that the airbag stays free of cuts and that you always land softly and safely. The trampoline airbag station brings the funnest part of any trampoline park (the airbag pit area) to other venues. This freestanding module can be set up indoors or outdoors at ski resorts, hotels, amusement parks, indoor playgrounds, fairs and many more. Bring the joy of jumping and landing safely on a huge soft airbag to your customers or to your event. Every child's dream. What could possibly be better than sliding down a hill in huge tube? Taking off on a huge jump afterwards, soaring through the air and landing safely on a giant airbag! This setup can be used in the snow or also in the summer on a dry slope setup. The thrill factor is very high, no skills required. Every child's dream. What could possibly be better than sliding down a hill in huge tube? 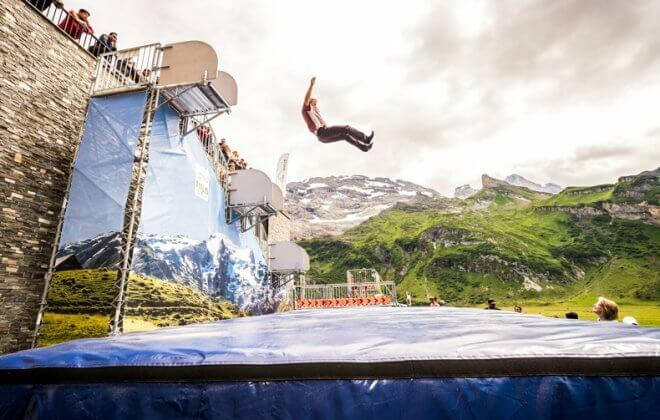 Taking off on a huge jump afterwards to soar through the air and land safely on a giant airbag! This setup can be used in the snow or also in the summer on a dry slope setup. The thrill factor is very high, no skills required. Have you ever wondered what it feels like to be a stuntman? Taking the leap and jumping onto one of our stunt airbags will give you exactly this feeling. Different jump heights for different skill levels and age groups allow you to get exactly the excitement you want. Thanks to our patented air pillar system, jumpers can land on the airbag simultaneously from multiple platforms for a higher throughput. 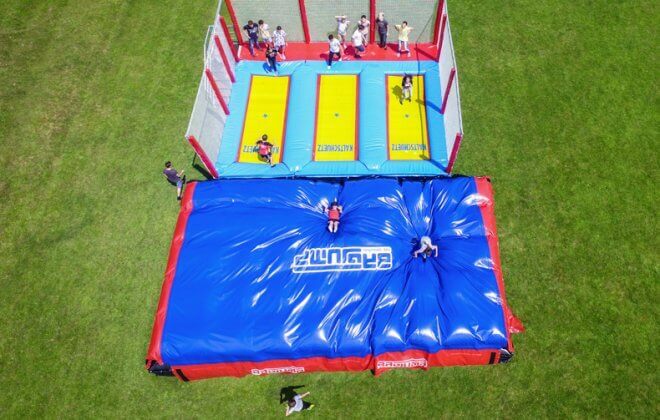 This is the ultimate portable foam pit. Are you a gym, club or school unable to have an in-ground pit as you are sharing your facility with others? This is the ideal solution for you. It can be set up and packed away as quickly as a trampoline. Bring it out for your session and move it around to where you need it. Forget about fluffing/cleaning the pit and inhaling toxic dust particles. All BAGJUMP® products are produced in Europe according to the highest safety and quality standards. The Foam Pit Airbag is certified by the TÜV and conforms with the ASTM, ATPA and BSI standards. Over 2.000 projects worldwide have been successfully realized with constant technological advances to supply the best airbag system available on the market. Our professional team will ensure you receive your product on time and exactly as you want it. You can rest assured that we will guide you through every step in designing the most efficient layout. 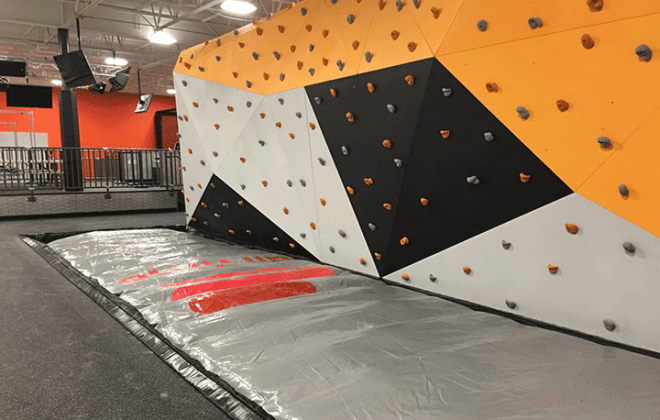 BAGJUMP® products are installed by our professional installation team and we train your staff on the proper use and maintenance. Over 2.000 projects worldwide have been successfully realised with a steep learning curve to supply you the best airbag system available on the market. Our professional team will ensure you receive your product on time and exactly as you want it. We take customer support seriously! We understand the need for prompt response times in an operational business, so we have set up an international team of full-time highly trained technical staff in Europe and the US who are always there for you when you need our support. All parts on your BAGJUMP Airbag are fully replaceable or highly reinforced to ensure that you never go out of operation and to prevent from expensive maintenance/repairs. Thanks to our patented technology, we are the only airbag manufacturer worldwide to offer fully replaceable air pillars. Due to our smart air pillar system, no internal bungee chords or nets are necessary, providing a softer and safer landing and higher durability through less abrasion/wear. All airbags are covered seamlessly with air pillars pressed firmly against each other from pit edge to pit edge.